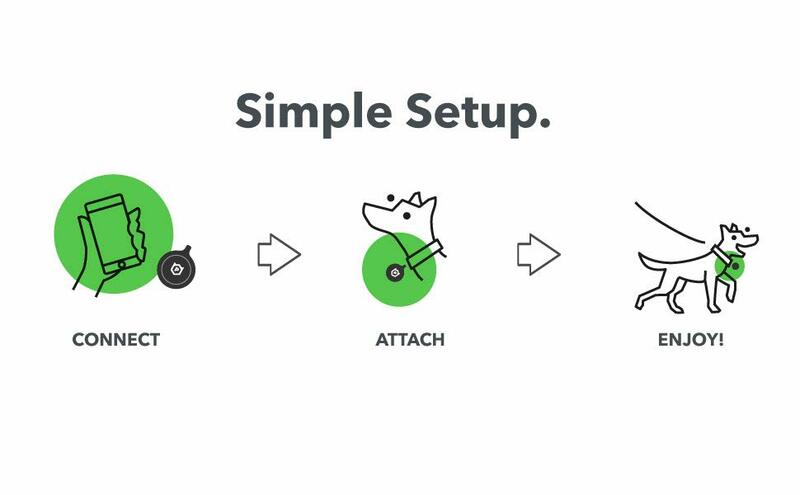 PawScout is a Tracking device for your pets that relies on neighborhood crowd-sourcing, making it ideal for those who live in the city. At a cost ranging from $13.95 – $19.95 (depending on where you purchase) with NO monthly fees, this device has some real benefits – especially if you have a dog or cat who escapes the yard. This concept is different than other GPS trackers (like the Whistle or the PodTracker) because it relies on your neighborhood to be connected. We use affiliate links when possible, so we may receive a tiny (and I mean tiny) commission if you use them to purchase anything (but they don’t cost you a penny). 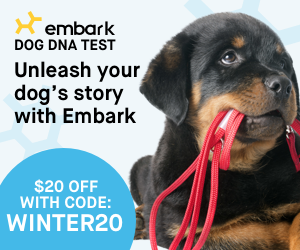 Thank you for supporting our website (and our pets)! Pawscout uses a Bluetooth signal with a range of about 300 feet. This is the same function you would use to connect your phone to a listening device. and who has the PawScout app installed on their smartphone. When they are in range of your pet, they will receive an alert that the animal is lost and needs to be home. This is a very cool concept for anyone who lives in the city. Your dog may be 10 miles away, but if he passes by someone with a PawScout account, they will be able to tell you where they saw him or grab him for you. One feature I love is having all of your medical records and a digital profile of your pet in one location. The PawScout app lets you store vaccination and medical records, make notes of any behavioral or medical issues, and even lets you add photos. Another feature is a digital layout of pet-friendly places near you. This is a fantastic addition to the app and is great when you’re in a new area. You don’t need to have a pet to download the app and help make this program effective in your neighborhood! Simply download the app, choose the “Be A Hero” button and PawScout will only message you when you come into contact with a lost pet. 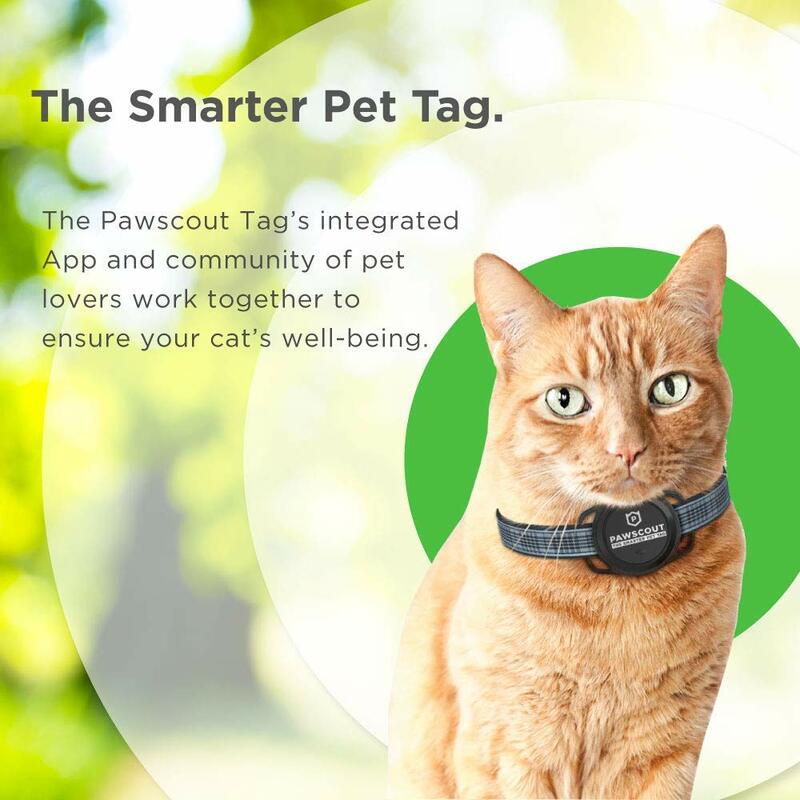 The PawScout does offer some interesting features, including the use of a virtual leash. This allows you to set up a virtual perimeter, which is great when you’re outside with your pets. You’ll need to manually activate this feature when you need it. Tag Size: 1.6 x 2.0 x 0.4 inches (4 x 5 x 1 cm). Battery: CR2032. Replaceable. Lasts 6-12 months. App Requirements: iOS or Android smartphone. It’s easy to set up. The image below is absolutely accurate. Since most dogs who get out tend to be found in a small area, this is ideal for those who live in heavily populated areas (the city, an apartment complex, etc). My thought is that since it operates on Bluetooth technology, it will perhaps have a longer lasting battery life (although that is not confirmed). No Subscription Fees: This is my most favorite feature of PawScout – the fact that there are no monthly fees makes it well worth the cost of exploring in your area. It’s fairly small and lightweight. This makes it easy for either our large dogs or smaller cats to wear. It’s rated for animals who are 10 lbs or more. Beware of purchasing from anyone other than an authorized dealer as the batteries can expire if they are in storage for too long. Your neighborhood has to have a few people active with PawScout for it to be truly effective. This doesn’t mean that it won’t work, but that those who are not connected will not receive an update on your lost pets. This device works best in the city or in neighborhoods who have downloaded the app. Tracking will NOT work if your dog is not within 300 feet of someone with the PawScout app. The ability to track your pet is reliant on how many people have downloaded and installed the PawScout app. This makes the PawScout ineffective in rural areas. If you find a lost pet, you have to stay within that 300 ft range in order to report the animal found. I can see this as as potential problem, since some animals might be running away and it would be tough to report. However, this also helps to reduce inaccurate reporting. In all, I strongly support any type of device that helps get our pets back to us. For the cost of this device, it would be well worth investing $20 in it if you live in the city where there are more people. If you live in a rural area (like we are) it’s perhaps best to look at other options that operate on RFID or GPS technology.